Did you know running a pop culture site can make your friends suspicious? It’s true. Recently, I was visiting some friends when something fuzzy caught my eye. At first, I thought it was a giant cat hairball. No, it wasn’t a hairball. 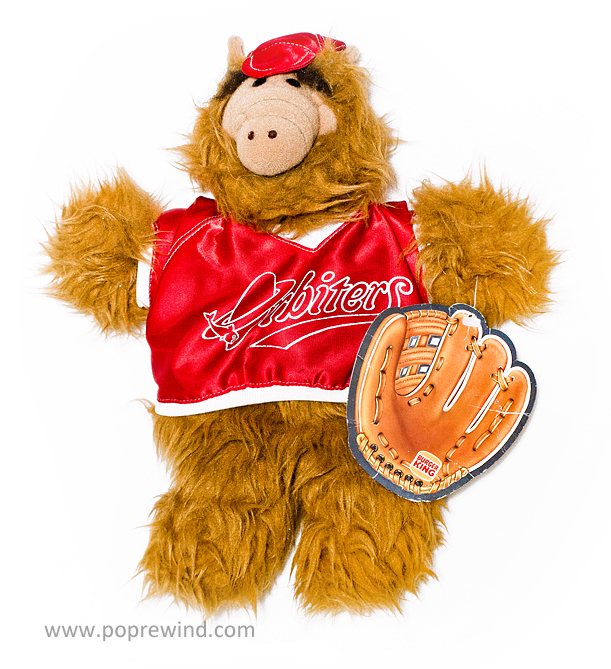 I squinted in disbelief when I realized what it was: A Burger King ALF puppet! I asked to borrow it and didn’t offer an explanation as to why. I’m not sure they want to be my friends anymore. In 1988, Burger King released four fuzzy puppets as part of their “The Many Faces of ALF” promotion. What you see here is the baseball ALF, sporting a lovely Orbiters jersey (complete with fish logo?). The other alien life forms in the series were a chef, a rock star, and a beach bum (aka normal ALF). More interesting than the puppets, was the fact that each one included a paper record with a song performed by everyone’s favorite furry critter. You can imagine the fidelity of a record made of paper. It’s understandable that the rock star puppet would come with a record, but it’s a little baffling that chef ALF came with one. For the record (HA! I KILL ME! 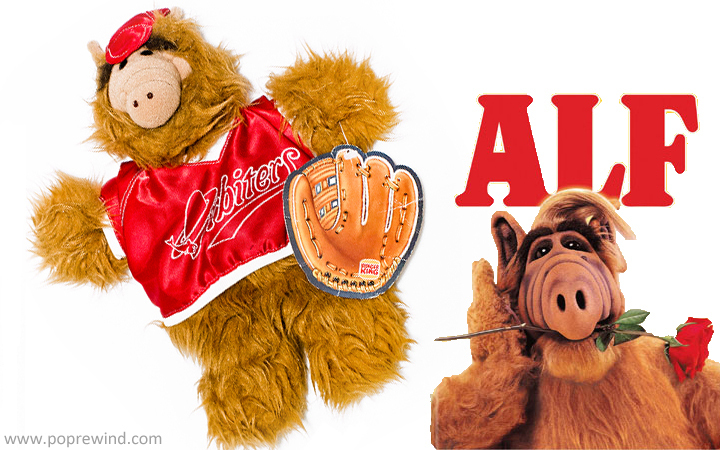 ), baseball ALF’s song is titled “Take Me, ALF, To The Ballgame”. I hadthe rock star and surfer versions. I remember actually being excited to go to Burger King to get these.